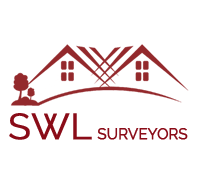 At SWL Surveyors we specialise in pre-purchase residential building surveys and valuations of properties in South West London and West London, covering the SW and W postcode areas. South West London Surveyors is an efficient and reliable company comprising of vastly experienced Chartered Surveyors with an in depth knowledge of the properties in the local area and of the London property market. A mortgage valuation report from your lender should never be solely relied upon when purchasing a property, so it is important that you get a full, independent house survey from a RICS surveyor with a working, local knowledge of the area you are purchasing in. A Building Survey is the most comprehensive analysis of the condition of a property. If you commission a Building Survey you will be provided with information about the construction type of the property, advice on any defects with the building, and the options and cost for repair and maintenance. The Building Survey will identify any signs of subsidence, wood rot or infestation, and an assessment of damp proofing, insulation provisions and the drains. Photos of any areas of concern will be included. This survey type is suitable for all properties and most notably appropriate for properties that have been altered or extended, or if you intend to make any alterations after you have moved in. It will examine all accessible parts of the building and the survey can be tailored to investigate any particular aspects of concern. If requested, we can also meet you at the property following the survey to discuss any identified issues. The RICS HomeBuyer Report is a more general inspection of the main aspects of the property. It will provide you with a concise appraisal of the overall condition of the property, identifying significant defects that may affect its value. Our regulation by the Royal Institution of Chartered Surveyors (RICS) ensures that we are kept up to date with the changing legislations and standards in the industry, so you can be assured of our professionalism. South West London Surveyors provide surveying services in London. Really thorough building survey, clearly laid out with quotes for repair work that lined up pretty much spot on with the contractor quotes. Luke was really helpful post-survey chatting through the evaluation and options going forward. Would gladly use them again. Thanks very much, everything progressed as expected. Very quick report delivery (both soft and hard copies), well laid out and made sense. They were also very happy to respond promptly to my queries too. Best price. Did a very thorough job. Nice guy. Walked through the results with me. Managed to catch a number of things that the bank surveyor missed. Would def. recommend. Professional; quick turn around; useful follow up call after the survery to discuss issues raised. Would recommend. Good value for money - a lovely company, very professional, friendly and responsive. I would definitely recommend them. I would surely recommend them to everyone which wants high quality work done for a good price. I'm really happy with their work.